Like last week today I have another Regional Edition cigar, this time from Switzerland. I bought a box of these last year when I was visiting Geneva. These are a release of 2012 and 5000 boxes of 10 were made. My box is from Jul/12 No.1516. I haven’t heard good things about it when it first came “just like most of the regional releases IMHO” but I had a hope they Will turn to a real Robaina just like the elder brother in the brand the Unico. This is a “cute” looking little torpedo wrapped in a very light in color leaf with tiny amount of oils. The pre light draw is more on the loose side but manageable and delivers a thin aromas of roasted cashew nuts and dry wood. The initial puffs are very cool and plain, but once the cigar warms up the smoking mood changes. Smoke is on the lower medium in strength with floral, sweet woody flavors and a little pepper on the background. The strength increase gradually toward the midway point and so do the flavors, here maple like sweetness, spicy cedar, roasted nuts and more pepper on the retro hale. The last part is of this small cigar is not the best due to the loose draw but still ok, strong coffee and earthiness. These have changed from OK to good in my book. From little flavors to fair amount of flavors. Let me tell you the best part of it is is the middle part. 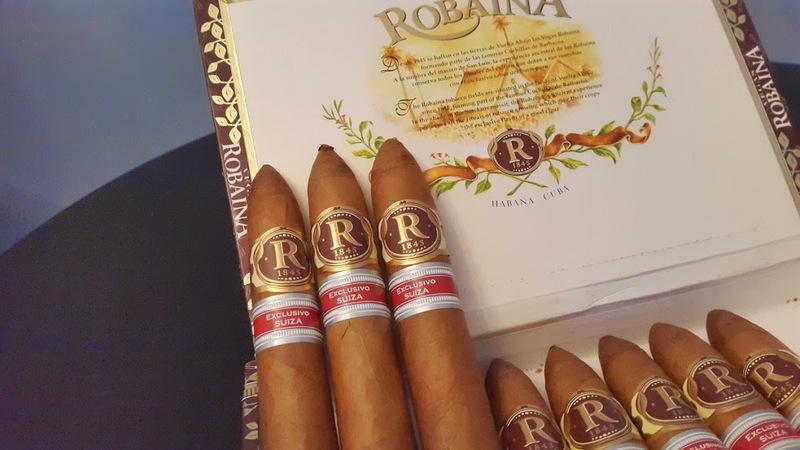 It’s turning to a real Robaina. If you have a chance to try it do and let me know what you think!!! Boring cigar and way overpriced. I prefer a regular Unicos for a lower price… just my 2 ct.